Recorded Live at the Finsbury Park, London - June 6, 1992 and Richfield Avenue, Reading Festivals, Reading, UK - August 30, 1992. Ex Soundboard :: Silver CD :: Lossless FLAC. Files: 21.:: Size: 444.54 MB (flac). Personnel: Donita Sparks - guitar :: Suzi Gardner - guitar :: Jennifer Finch - bass guitar :: Demetra Plakas - drums. 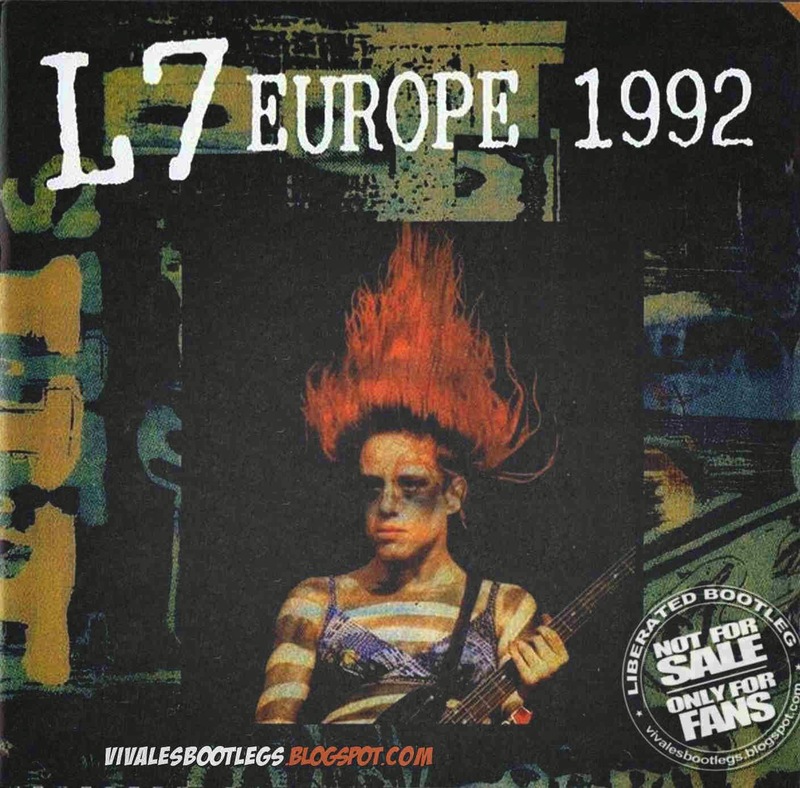 Notes: L7 - 1992 Finsbury Park + Reading Festivals. 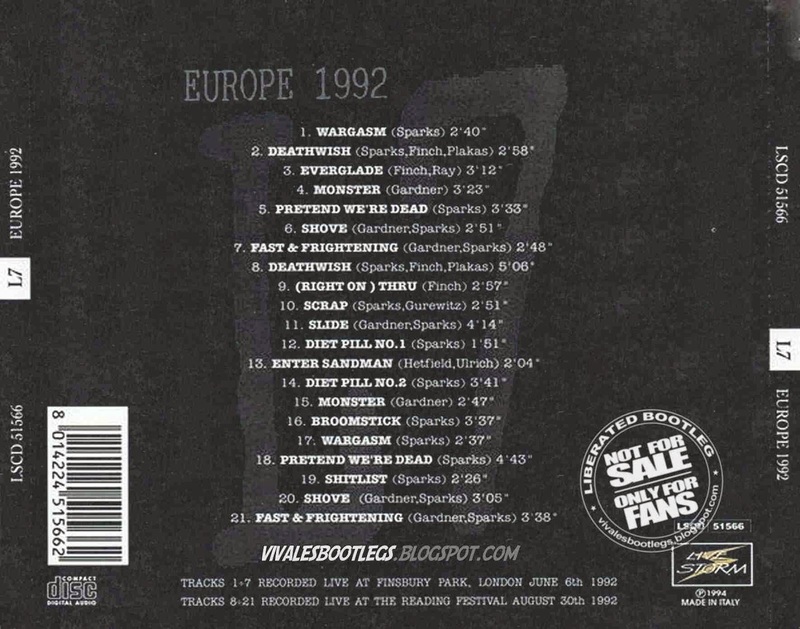 Tracks 1-7 June 6, 1992 Finsbury Park Festival London, United Kingdom - Tracks 8-21 August 30, 1992 Richfield Avenue () Reading, United Kingdom .. Thanks for sharing :) Great diversity of music here!